Our events are held at the East Crawford Recreation Area on the east side of Salina. ECRA is a city park, a site which once was the Salina Municipal Airport so we are running on what was a runway made of airport concrete. Our events are conducted with the permission of the City of Salina and the support and assistance of the Salina Parks and Recreation Department. Salina is conveniently located at the intersection of I-70 and I-135. From I-70 take I-135 South. From I-70 take the Ohio St Exit and head south to East Crawford. From 135 Take the Magnolia or Crawford exits and head East to Markley. Markley dead-ends at both Crawford and Magnolia. 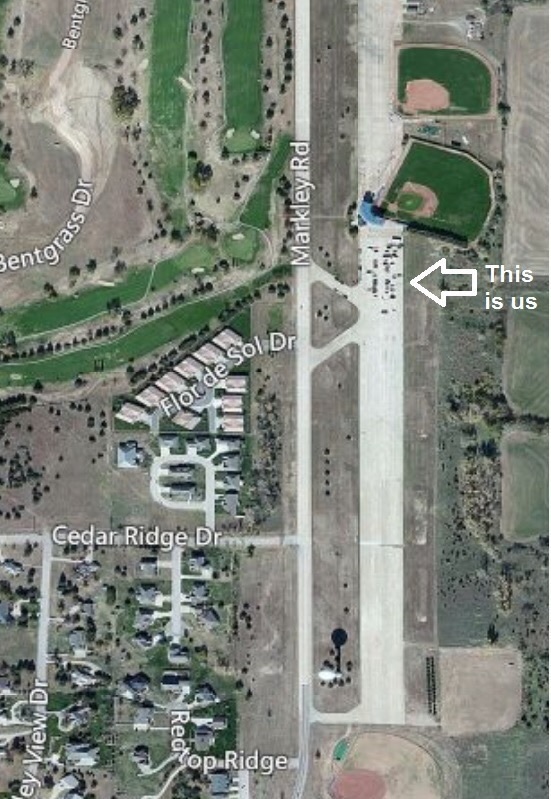 Go about a mile on Markley, and our site is just beside the road south of Evans Field (a baseball stadium).